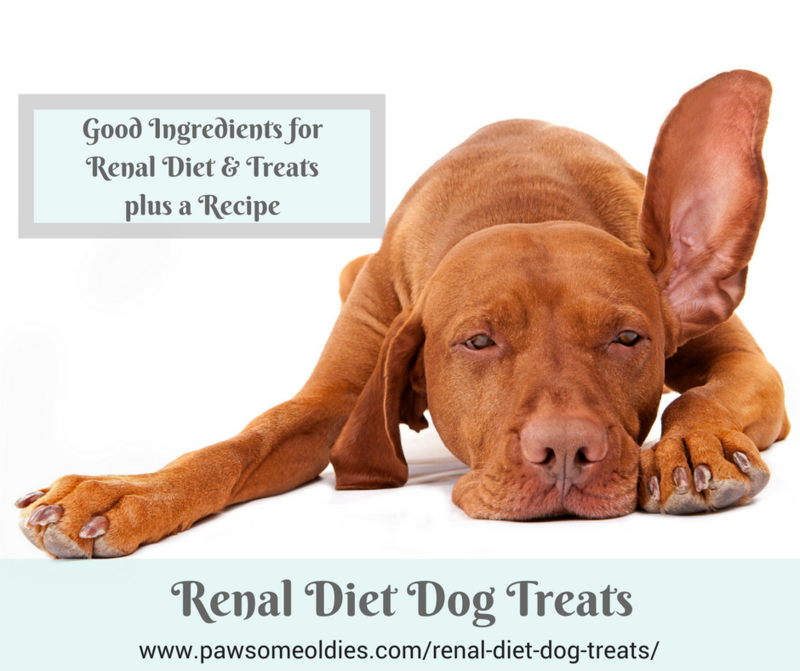 Making renal diet dog treats takes a bit of thought because dogs with kidney disease should avoid some food items. If your pawsome oldie is unfortunately suffering from kidney disease, read on to find out which food ingredients you can use to make safe and yummy treats for your dog. If you want to know what makes a good dog kidney diet, visit this page. Also, visit this page for more detailed information on dog kidney failure (symptoms, risk factors, diagnosis and treatment). Dogs with kidney disease should enjoy treats as well! Some people may say since treats are given to dogs in small quantities, the ingredients used should not matter too much. It may be true but I always think that if we exercise more care, we don’t run the risk of aggravating the disease. Therefore, it is still prudent to choose safe food items when making treats for dogs with health issues such as renal failure. Flours that are relatively low in phosphorus include barley flour and buckwheat flour. Most fruits and veggies are rather low in phosphorus, so we can use basically the ones that we normally use in dog treats, such as applesauce, blueberries, strawberries, pumpkin puree, banana, sweet potatoes, and even pureed vegetables. Other ingredients that are healthy and safe for dogs with kidney disease include honey and green tripe. Avoid flours that are high in phosphorus. They include oat, quinoa, millet, brown rice, amaranth, spelt, and chickpea. Bad news for dogs with kidney disease – fish such as salmon, cod, tuna, sardines, pollark, and mackerel are all high in phosphorus and should not be used in renal diet dog treats. More bad news for dogs with renal disease – many seeds and nuts that we like to use in dog treats are unfortunately also high in phosphorus (e.g. pumpkin seeds, sunflower seeds, chia seeds, flax seeds, sesame seeds, almond, peanut), so they should not be used in renal dog treats. 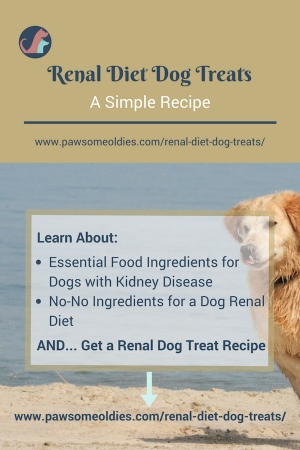 Renal Diet Dog Treats – What To Give? With so many food items that are not suitable for dogs with renal failure, it seems giving treats to these dogs is almost impossible, doesn’t it? Fortunately, with a bit of imagination, we can still give a variety of healthy and safe dog treats to these fur kids. One highly palatable treat that is low in phosphorus is green tripe. You may turn your nose away from this stinky food but for most dogs green tripe is heavenly delicious. Also, you can use fruits and vegetables, such as bananas, berries, slices of apples, pumpkin, and sweet potato as renal diet dog treats. Baked banana chips or apple chips, anyone? How about baked sweet potato with a bit of cinnamon sprinkled on? Alternatively, freeze some pumpkin puree in ice cubes and you get frozen pumpkin treats! An occasional baby carrot is also a good treat… All is not lost yet! Turn dough out onto a well-floured board or counter, and knead a few times. Put dough on baking sheet and roll it out to the corners of the sheet and lightly score it with a knife. Bake in preheated oven for about 25-30 minutes. Turn off oven and allow biscuits to cool completely before removing them from oven. You can also use barley flour in this recipe.